In the tech industry today, one of the highest growth areas is shared office spaces, also known as coworking spaces – according to the 2017 Global Coworking Survey, nearly 1.2 million people around the world will have worked in a coworking space by the end of the year. Today, the San Francisco startup behind the industrial-grade Series 1 3D printer, Type A Machines, along with Circuit Launch, which builds communities of both established and startup hardware companies so that members can access experience when they need it, announced the official grand opening of the new 30,000-square-foot Circuit Launch facility in Oakland. The coworking space is dedicated to hardware startups, and will also serve as the new headquarters of Type A Machines. These types of startups usually require additional resources and hardware-specific capabilities, like fabrication tools, strategic industry partnerships, and electronics labs, that are not available in most coworking spaces. In a brand new approach, Circuit Launch offers these capabilities so electronic hardware startups can come together in a coworking space that’s specifically designed to help entrepreneurs learn and grow together. The facility has office, lab, and meeting spaces available so that companies will be able to create, test, and iterate products in the same place. The community approach of Circuit Launch, which benefits from strategic partnerships with several local manufacturing firms, sets up links between hardware startups and established companies, so members are able to get help and experience when they need it from suppliers, manufacturers, engineers, and hardware-friendly investors. At today’s official ribbon cutting ceremony for the facility, Type A Machines and Circuit Launch also announced a new service relationship with product development company BriteLab, which specializes in complex, connected, and collaborative mechatronic and robotic products. The partnership will allow for scalable microfabrication based on Type A Machines’ Print Pod digital fabrication platform, a centrally managed parallel-production solution. BriteLab, which has teamed up with Type A Machines before, offers OEMs in the biomedical, robotic, semiconductor, alternative energy, and consumer electronics space mass customization and factory automation solutions. Its new relationship with Circuit Launch and Type A Machines will allow both hardware startups and established brands to easily scale 3D printed products in terms of complexity and capacity. “Working with Type A Machines and Print Pod, we have created a new product development and production paradigm through 3D Manufacturing which allows us to extend our previous OEM experience and automation expertise to customers earlier in their life-cycle. We’re looking forward to a long OEM partnership with Type A Machines and supporting the creative ideas that spring from Circuit Launch,” said Robert de Neve, CEO of BriteLab. 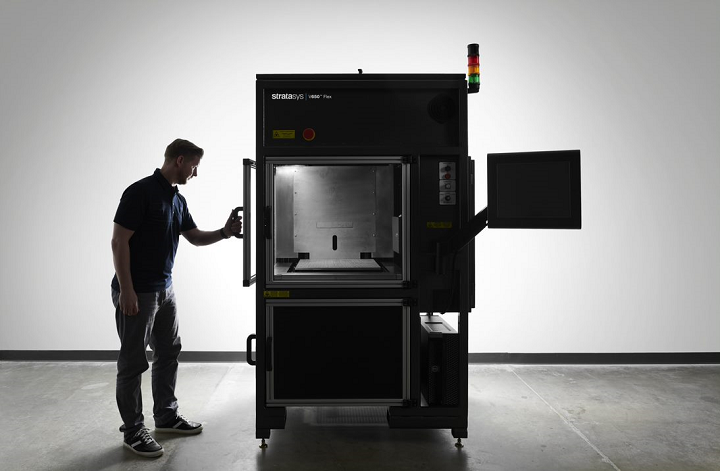 BriteLab has adopted Print Pod as part of its OEM relationship with Type A Machines, and will be offering customers that make use of its scalable, US-based facilities high-volume manufacturing and Design for Manufacturing (DFM) services. This way, parts production in the tens of thousands will be completed far more quickly than it would at a facility offshore – the final product will actually be developed and 3D printed closer to the end users. Not only will this reduce shipping time and costs, but it will also cut down the potential IP issues that go along with offshore manufacturing.